With strong heritage in solar power conversion and best-in-class energy management expertise, Schneider Electric technology is already powering photovoltaic systems of all kinds, all around the world. 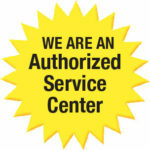 Smucker Sales is a certified Distributor and Authorized Service Center. 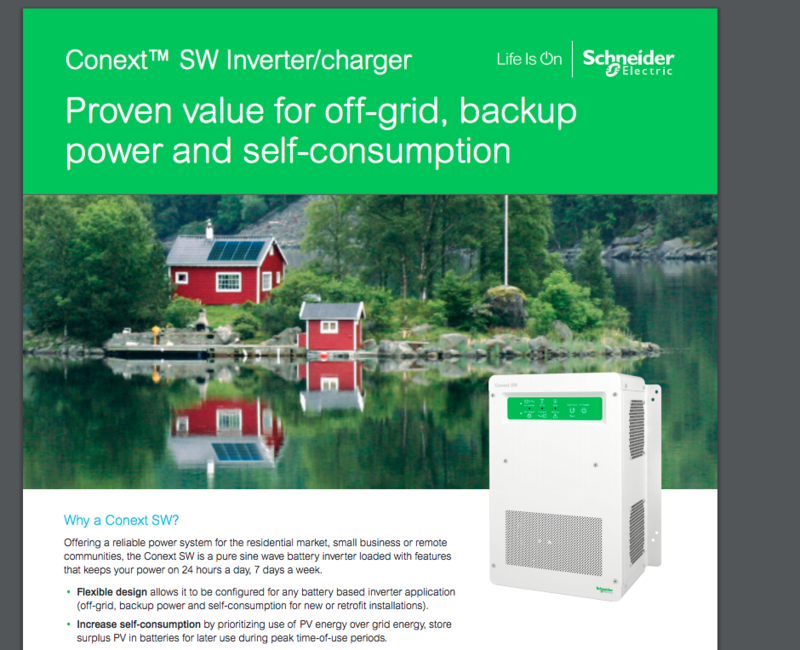 Conext XW+ is an adaptable single-phase and three-phase hybrid inverter with grid-tie functionality and dual AC power inputs. 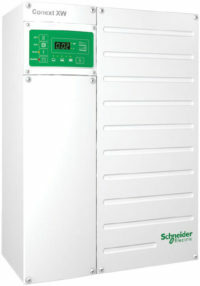 5500 and 6800 watt inverters in48VDC available. 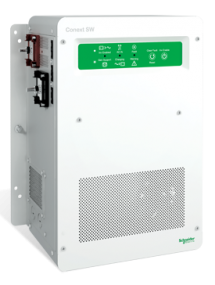 Conext SW-NA is perfect for off-grid, backup power and self-consumption applications, it’s a pure sine wave, hybrid inverter system with switchable 50/60 Hz frequencies, providing power for every need. Conext SW-NA features 120/240 VAC output, and capable of producing 120/240 VAC output from a 120 VAC input, without the need for an external transformer. 2500 and 4000 watts in 24VDC and 4000 watt in 48VDC available.